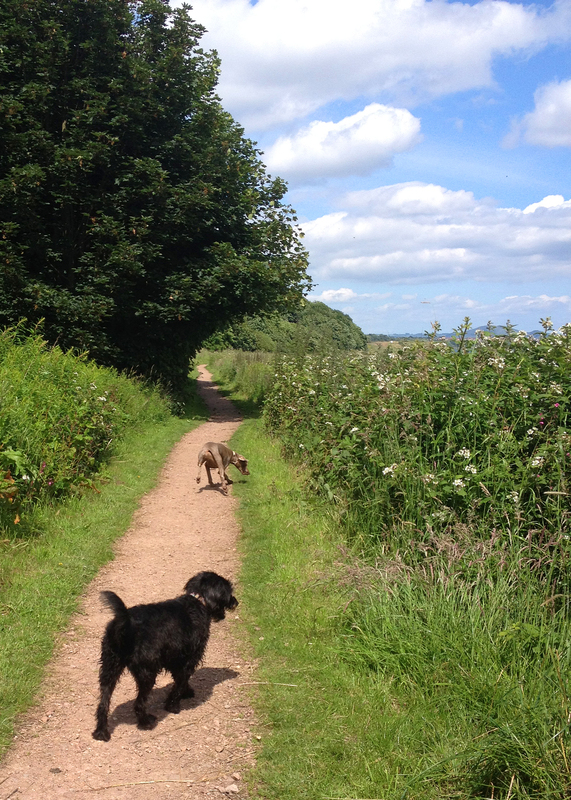 John & Tahra took a paws from running their luxury holiday accommodation​ The Nethergate, to tell us about their favourite doggy walks in and around Fife! The Fife Coastal path stretches 117 miles from Kincardine to the south west all the way around to Newburgh in the north. Effectively a number of different coastal walks, the path meanders through many historic locations, such as Culross, the East Neuk and St. Andrews. We've enjoyed much of the walk over the years, but the part we know best and walk most regularly is the section between North Queensferry and Kirkcaldy. This section is almost all right alongside the shores of the Firth of Forth, often with stunning views south to Edinburgh. For a fine morning or afternoon's walk, we'd recommend starting by St. David's Harbour in Dalgety Bay, and making your way along the shore of Dalgety Bay, continuing along the short inland paths to Aberdour, then on to historic Burntisland. This is around 7 miles of reasonably flat, varied paths, taking in some scenic locations en route, such as St. Briget's Kirk, Aberdour harbour and the stunning path between Silver Sands and Burntisland, where you might catch a glimpse of seals lazing on the rocks. The village of Ceres is a pretty place, situated a few miles south of the market town of Cupar. We'd recommend a walk starting from the public car park in the centre, heading west and doing a loop that takes in Hill of Tarvit, and the Scotstarvit Tower. This is a very pleasant route, the majority of which is on quiet tracks and away from traffic. Although it's quite steep, it's worth making the effort to climb up the hill as the views from the top are impressive, and on a sunny day it's a nice place to just sit for a while. On your return to Ceres, you can enjoy some coffee and cake at the cafe, on the outdoor seating area (they have bowls with water for your pooch). Loch Leven is another favourite walks; technically it's not in Fife itself, but with the path connecting it to Lochore Meadows Country Park, it's worthy of inclusion, as it's highly accessible. Heading roughly north from Lochore, we strongly recommend a cake stop at Vane Farm nature reserve. If you're seeking a long walk, you can't do much better than take in a circuit of Loch Leven from here. The route gives many contrasting views of the historic loch; it even has a tiny beach for paddling. Of course, you don't have to go all the way around; you can walk for as much as you like, but do keep an eye out for the occasional cyclist that you may not hear coming. Woodland patches, as well as waterside walks and the wildlife managed areas, are well sign-posted. If you decide to make your way around the loch, you should allow two to three hours. Be sure to admire the view over to Loch Leven Castle, in which Mary, Queen of Scots was imprisoned in 1567-68, as well as the view of Kinross House (described by Daniel Defoe as "the most beautiful and regular piece of architecture in Scotland"). In the meantime your dogs can have have a paddle as you reach a huge play-park and yet another cake stop. No trek around the Squirrel Trails in the grounds of the Falkland estate is complete without a coffee stop (and shop) at Pillars of Hercules; you can sit out on the deck with your pooches. The trails themselves amble through the woods with gentle hills and little bridges. Remember to look up for the art installations dotted around the paths; wander far enough and you can duck under the waterfall at Mapsie Den. If you have little ones remember to take paper and crayons and do some brass rubbings telling the story of the red squirrel on the way. 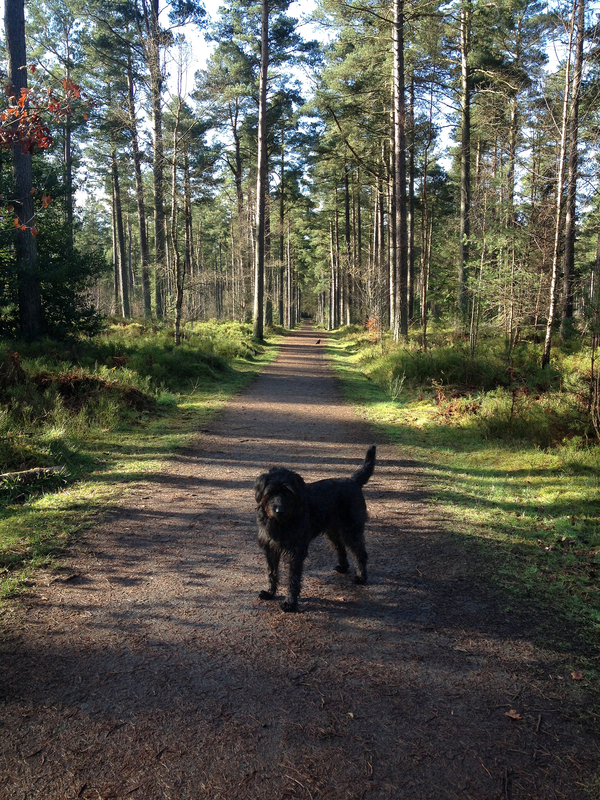 As a contrast to the great coastal walks, Fife also has many woodland walks and trails in all shapes and sizes - Heatherhall, Townhill, Cullaloe, Letham Hill are just a few close to us. The managed paths are ideal if you aren't wanting anything too strenuous, and there are routes to suit everyone. 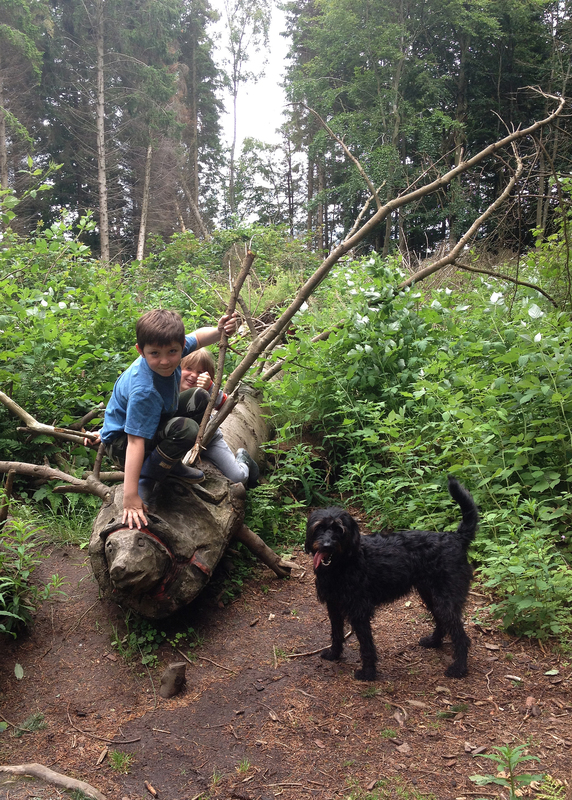 Heatherhall woods is quite a small Forestry Commission site but has lots of criss-crossing paths making it easy to do as little or as much as you want, whereas you can fill an entire day at Blairadam exploring its colour-coded routes. 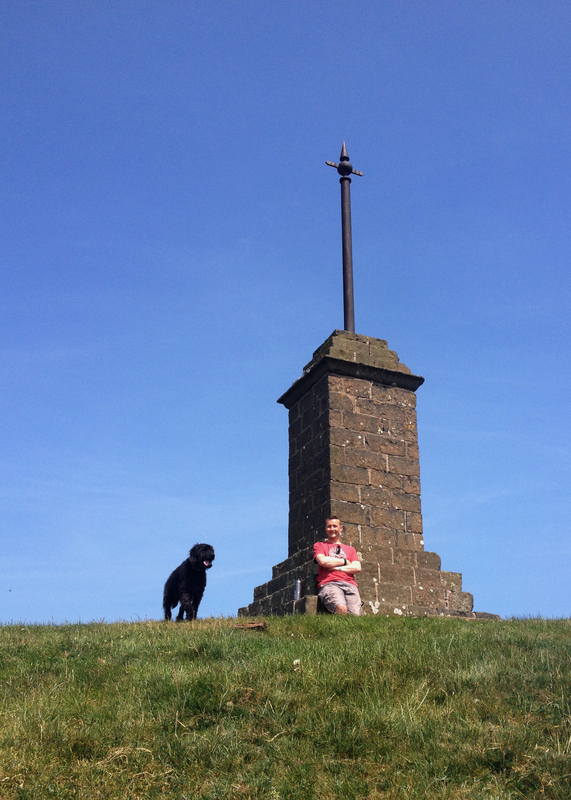 So next time you're in Fife with your four-legged friend, go exploring!"